This great community space is huge! Heaps of different sections for a range of age groups and abilities. The 'Train Park' would not be true a true train park without a retired engine. Taking centre stage this red beauty has its own stairwell leading up for you to explore. The giant has its own platform, ticket booth and tracks. The main playground is a giant sweeping wooden castle type structure with slow inclines.. Crawling toddlers are quick up the ramps and off discovering the castle. On the warmer days you will spend most of the time underneath where it is well sheltered and plus there are lots of corners to explore with imaginative play. The sheltered part is also tall enough for Mamma to walk under too - added bonus. Heaps of other highlights including an elephant slide, massive sandpit, swimming hippos and lounging lizards. 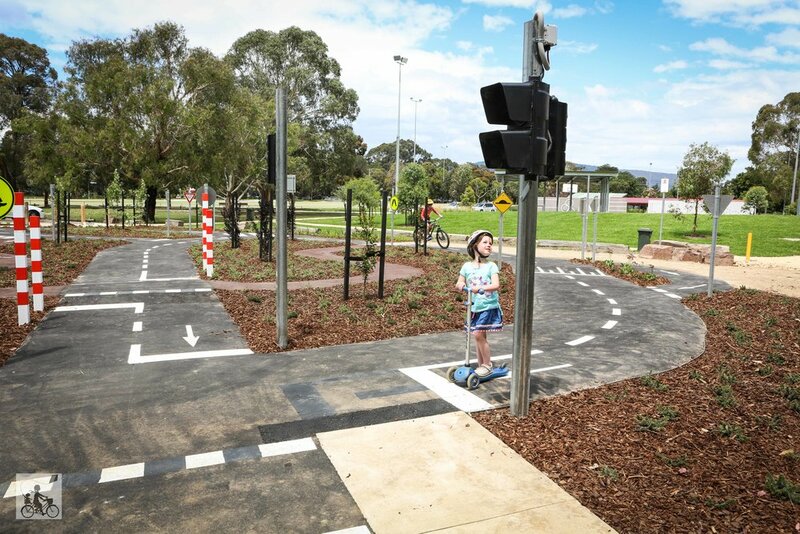 There have been recent upgrades (and not only at the level crossing nearby) and there are now more open space for bike riding, skateboarding and scooting plus a climbing wall, monkey bars and netball rings at various heights! The fresh paint on the walls are looking stunning and the rubber underfoot give the smallest explorers some time out of the pram without the tan bark in their gob! For even more excitement, in December 2018 (just in time for Christmas) saw the Bike Training Area open. This circular traffic park even has its own traffic light system! Mamma’s special mentions: Just a warning - The slides are the classic metal, burn your bum off, shiny type, so not the best bet on a nice sunny day. The Dandenong Creek Trail runs to the rear of the picnic grounds and is a great place to take off for a family ride. Or Bayswater library is just up the road, perfect for some chill out time with a book. For a coffee, head to The Hatter and The Hare.